The Wellcome Sanger Institute has been at the forefront of pioneering scientific research in genomics for the last 25 years. Named after double Nobel laureate, Frederick Sanger, it was conceived as a large-scale DNA sequencing centre to participate in the Human Genome Project, and went on to make the largest single contribution to the gold standard sequence of the human genome. 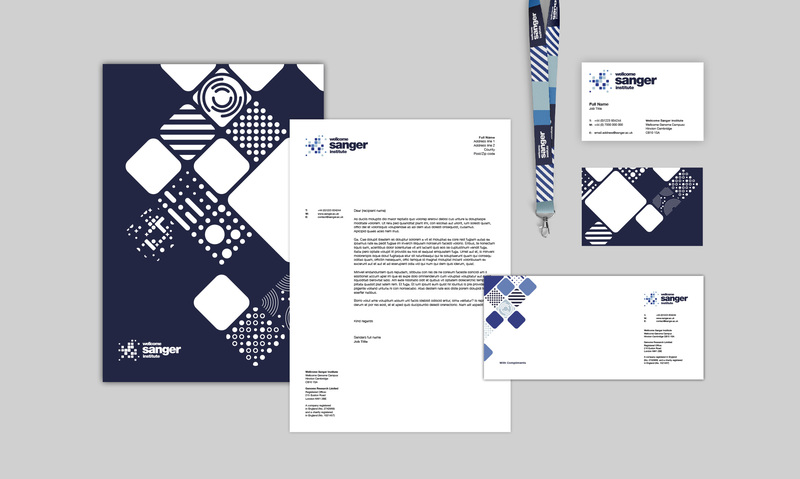 However, the Institute’s visual identity and overall brand presentation had not kept pace with their science. The Institute’s commitment to delivering bold, exploratory research that pushes the boundaries of what is known and what is possible in genomics remains central to who they are and what they do. The double helix had become a much used and abused visual reference for DNA, and no longer reflected the complexity of the science. In short, the Institute’s brand was no longer fit for purpose. It was time to refresh, update and modernise the way the Institute presented and communicated itself to the world. Through discussions with Sanger it became clear that the correct brand architecture was critical in aligning Sanger with its parent organisation, Wellcome. Established in 1936 with legacies from the pharmaceutical magnate Sir Henry Wellcome, it funds research to improve human and animal health. 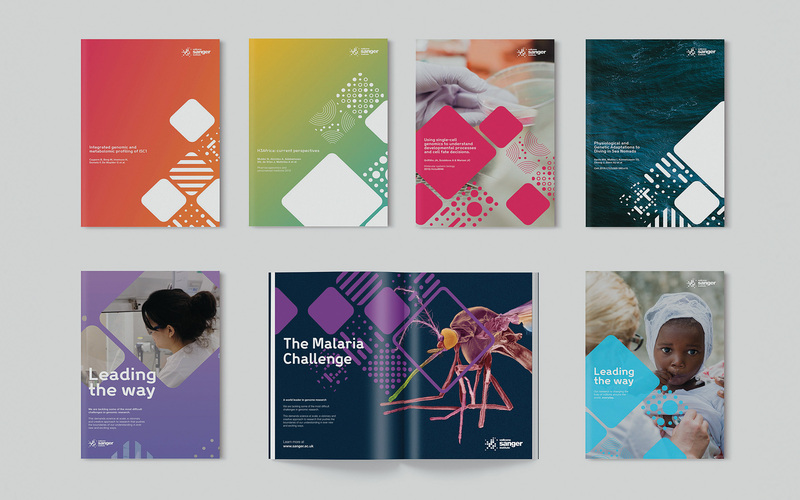 Through a series of working sessions and a brand audit, we were able to explore the relationship and proximity to the Wellcome brand. Our immersion work also revealed that success lay not in the big showcase pieces, but in the thousands of small interactions the Institute makes with the world. From email signatures to scientific conference posters (produced internally by the scientists and researchers), this is where the most eyeballs would come into contact with the new identity. This observation informed early in the process that we should take a bottom-up approach ensuring an easily deployable design without becoming a common denominator approach, retaining the necessary dynamism to perform on a global stage. The unique way the Institute is funded, combined with its infrastructure and technology, enables them to focus on the biggest, most ambitious projects – projects that quite simply wouldn’t happen without them. As a result, they’ve been instrumental in some of the most significant initiatives and projects in genomics over the last 25 years. At Sanger, the science is limited only by their collective intellect and imagination. 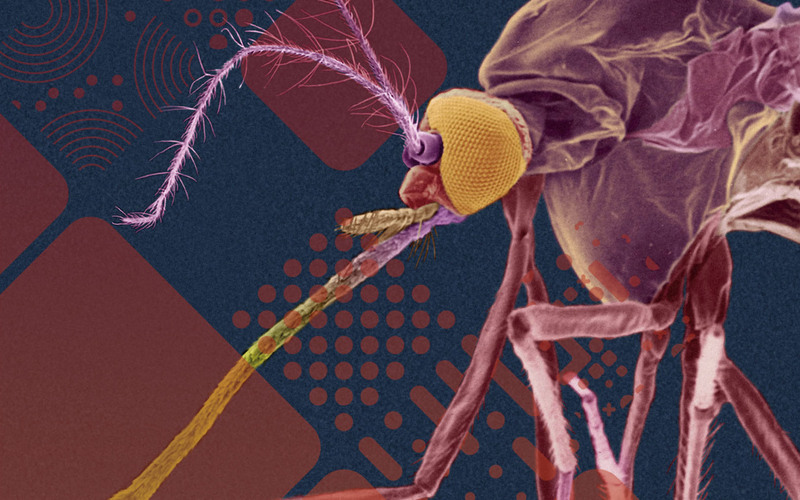 Intellectual risk-taking and the most robust, evidence-led science are both expected and required here, with a joint goal to push the boundaries of what is known and what is possible. The Institute is all about scale, which was summarised as ‘Leading the way’. Sanger’s new logo was born of data points and real imagery from the science, reimagined in a dynamic, fluid and progressive way. The new logo gave us a springboard to a broader creative expression more resonant of scale, ambition, data and objectives. Through the exploration of size and patterns inspired by the research within the Institute, we created a visual language with endless opportunities. We generated assets that could quickly and easily stamp Sanger on communications at a basic level, while retaining a vast scope for exploration on more high-level pieces, not just today and tomorrow, but for years to come. Critical to the programme’s success was a toolkit of assets and clear guidance on how to use them. 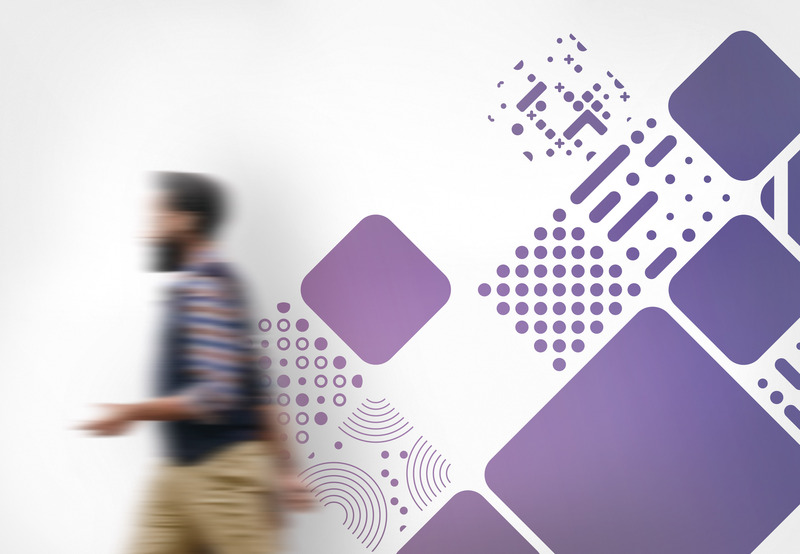 We worked closely with the design team at Wellcome to embrace any relevant elements of their recent rebrand, so that we could create the correct degree of family likeness. With an evident desire from the outset that the identity must reflect the reality internally, our branding successfully reflects the science and attributes that make Sanger, Sanger.